Taiwanese artist Shu Lea Cheang (b. 1954) tackles conceptions of racial assimilation in American culture, examining the political underbelly of everyday situations that affect the relationship between individuals and society. Using video in formally innovative installations, her works include the Airwaves Project, which focused on the one-way flow of global information and industrial waste, and Those Fluttering Objects of Desire, an installation presenting the work of women artists negotiating interracial sexual politics. 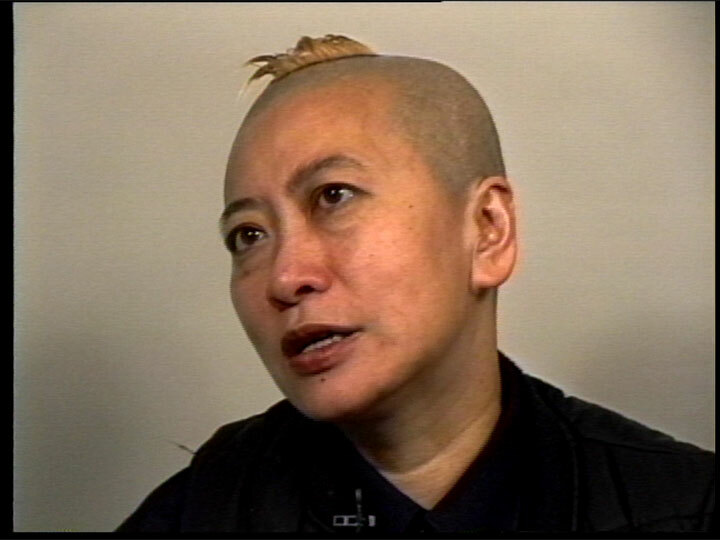 Cheang’s single-channel work, distributed by VDB, focuses on lesbian desire and Asian identity. Interview conducted by Gregg Bordowitz in April 1998, edited in 2014.